Call To Action Conference 2018 in Canada is one of the Unbounce’s series of digital marketing & social media event, that focuses on Marketing Evolution. It’s considered to be conference experience designed for a rapidly changing landscape. Get real advice from true experts in every facet of digital marketing to leave you feeling inspired, energized and primed for marketing victory. 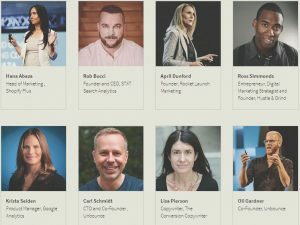 Call To Action Conference 2018 is a three-day event, that’s a great gathering of the best industry’s leaders, speakers, peers, and expert from big and popular agencies, brands, and companies around the world, in addition, to bring a set of valuable sessions, workshops, and presentations & talks. It will take place from 27 – 29 of August 2018 in Vancouver, Canada. Learn From Brilliant Marketers And Trusted Industry Leaders. Connect and Network With People, You’ll Want To Meet. Explore the latest in all of the digital marketing fields from the best experts. Fuel Up, All Day, On The House. 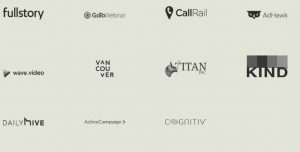 Follow up the Call To Action Conference 2018 updates here OR discover more Digital Marketing events, conferences & webinars in Canada during 2018 here.